Composed by Various. Arranged by James Gilbert. Christian, Contemporary Christian, Gospel, Praise & Worship, General Worship. 42 pages. Published by James Gilbert Music (S0.37017). 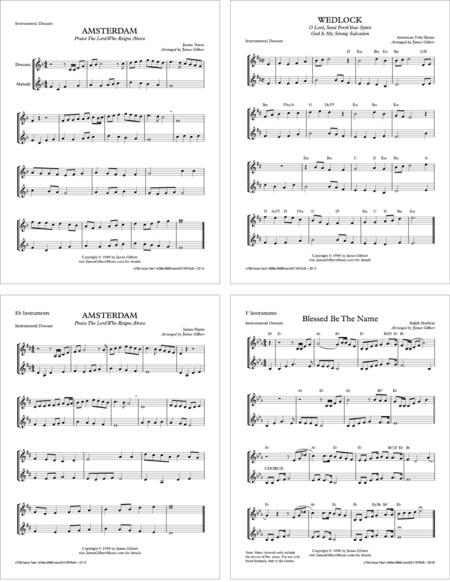 A collection of Instrumental Hymn Descants. Parts are included for treble clef C Bb Eb and F instruments. These titles are intended to be played along with piano or organ (not provided, use your hymnal). 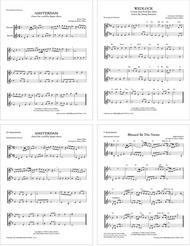 These descants are based on the keys and harmony of the following hymnals: Baptist Hymnal 1975 & 1991; United Methodist Hymnal (1989) and Episcopal Hymnal (1982) and have been used in worship services with no problems. The keys and harmony in your hymnal(s) may differ. The melody and descant are included on each title. Some descants include the chord symbols.